Sam Shweisky, the head men’s volleyball coach at Princeton University, is in a unique position. He’s the head coach for the men and the assistant coach for the women’s program. I wondered if that gave him a more in-depth outlook on the role of assistant coaches. So what makes a good assistant coach? Of course we want someone with knowledge of our sport and, logistically, we want someone who we can rely on to attend practices and competitions when they’ve said they could. Those are just the basics, there is more. Loyalty. We’re all looking for that assistant coach who is proud to wear our school’s name on their shirt. The person who understands the traits we look for in representatives of our institution and is willing to fall in line with those expectations. Someone who’ll stay around for a reasonable amount of time and who will support us behind the scenes. Common voice. Speaking of supporting us, a great assistant supports their head coach with the athletes…no matter what. I’m not saying you can’t have heated debates as a coaching staff behind closed doors. Hopefully your assistant coaches feel comfortable voicing their opinion and you, as head coach, have created an atmosphere where divergent opinions are welcome. But once your players are around, we’re all singing from the same hymnal. Nurturing. The head coach doesn’t always get to be the nice guy. Sometimes we have to point out the inconsistencies between team goals and effort level in practice, sometimes we have to bench a player, sometimes we have to have hard conversations. That’s when the great assistant coach steps in to make sure the athlete can see their way to success, because sometimes, those tough conversations can cloud their vision. Give them a role. Whether you’re lucky enough to have full-time assistants or you’re making it work with part-timers, they should know their value to the team. It’s good for them and the team will respect them more if they have a designated role. Coaches meetings. Have regular meetings or check-ins with your assistants to make sure you are all on the same page. It could be that you’ve decided that, as a staff, you’re going to be tough on your team, or that you’re going to focus on only one correction for a particular time period. Whatever it is, everyone’s got to know what’s going on. In game responsibilities. The beauty of assistant coaches is they are a set of willing extra hands. Depending on the level of support at your institution, your game day responsibilities could be great. Maybe your assistant has to help set up your game space, or set up the camera so that the game can be filmed, or do stats. During the game, give them at least one thing to do during warmup and in game…those responsibilities will make them feel useful and needed. Ask for feedback. My assistant and I speak after each practice, even if it’s just for a few moments. We talk about what went well and what didn’t, what we need to keep working on, and personnel issues. We’ve both been known to say, “feel free to say this is crazy, but…”. Having a great assistant coach as a sounding board is priceless. 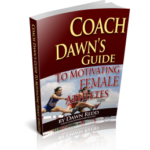 Join me in a series of interviews with successful coaches. I believe what we learn from our coaching peers can be applied to our teams, our recruiting efforts, and how we behave as professionals. These interviews will be less Q & A and much more philosophical in nature, keep coming back to see who I’m talking to and what they’ve got to say!